JUST RELEASED! 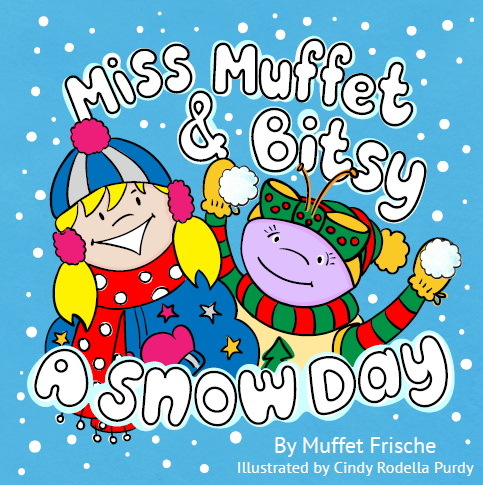 My latest picture book with illustrator Cindy Rodella Purdy – Miss Muffet & Bitsy: A Snow Day! “MISS MUFFET & BITSY: A SNOW DAY” is NOW AVAILABLE! I am so thrilled to see “Snow Day” in print! Cindy knocked it out of the park with her illustrations, and after more than a year of work, we are excited to share it with you! This is the second book in the “Miss Muffet & Bitsy” picture book series and is a fun holiday adventure. Miss Muffet and her best little spider friend, Bitsy, love snow days. They plan the perfect snow party and invite all their friends, but what will happen when everything goes topsy-turvy? Join us this holiday season to find out what happens! Kids will fall in love with this new holiday classic! Please click here to pick up your copy, and let me know what you think of the story! Happy reading!